If you are looking for a place to host your retreat, we have the perfect location for your groups, trainings, workshop or reunions. Vida Mountain is a safe, relaxing, and holistic environment for you to bring your vision to life. The never-ending views to the Pacific Ocean, Mountains and nature provide for an extraordinary place to heal, transform and reawaken to the visions of your Retreat. Our property is set in one of the most stunning landscapes of Costa Rica. If you are looking to host an event, we can help coordinate details, tours and activities. 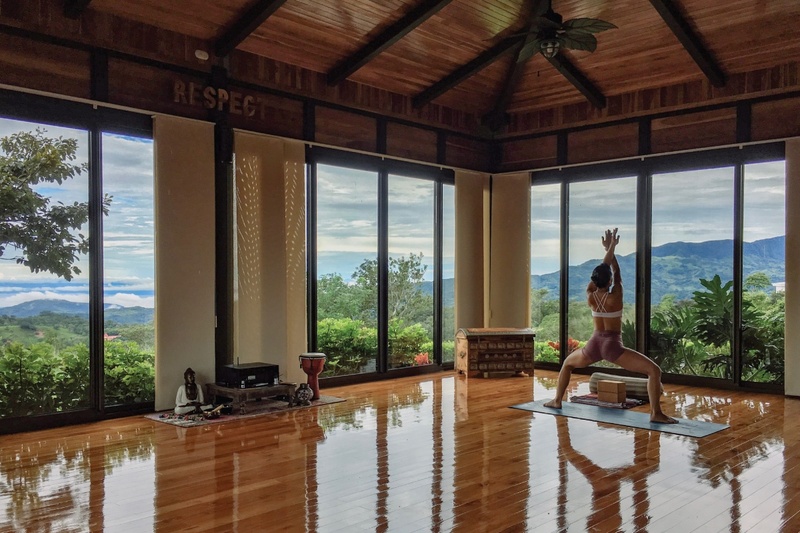 We are a wellness destination of choice for groups seeking a quiet luxury environment for corporate, yoga and wellness retreats. Our space is ideal for sharing, learning, and healing. The connection we have to our natural surroundings inspires us to live a more simple, organic, and healthy lifestyle. We work with healers, educators and yoga teachers to create unique experiences that allow people to slow down, rejuvenate, and embrace a more harmonious approach to living. We support only one group at a time, ensuring a truly intimate and customized experience for you and your group. We will handle guest dietary needs, Spa appointments and can offer daily activities, food menu and day trips. We work with you to communicate your vision in every detail. We look forward to supporting you and your group retreat here at Vida Mountain Resort & Spa. Please use this form below for inquiries and retreat reservations, and we will do our very best to contact you within 24 hours. It will be our pleasure to provide you with a custom proposal to meet your needs. If you prefer, feel free to contact us directly to reservations@vidamountain.com with your ideal scenario and type of retreat and we will send you availability and pricing.